* Cool perk: The entire service and parts team was treated to a New England Patriots football game; the sales team and managers went out to one of the finest local steakhouses. 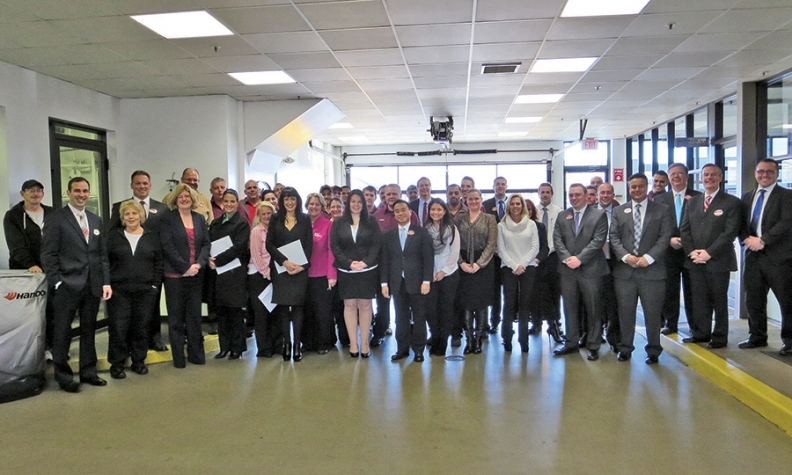 * Brian Heney, director of operations, on showing employees that they are valued: "We try to show appreciation to each member of our dealership throughout the year in many ways -- from a simple "thank you for all your efforts" and acknowledgement from upper management on a job well done to random gift cards. We also have some real sports fans in our store and provide tickets to various college and pro games when we can." * Heney on a change in response to staff requests: "We arranged a designated parking lot chart for many members of our staff. We had the area lined and numbered and drew a rendering that we handed out for all to see and abide by. It makes parking in the morning so much easier and has cut down on lot damage as well."